"A bad day on the golf course is better than a good day at work". When it comes to golf, Northeast Ohio offers a couple hidden gems to enjoy during your stay with Vineyard Woods. Below are three enjoyable courses open to the public that are a short drive from our property. Geneva-on-the-Lake Golf Course - (7 miles from VW) is the oldest and best choice for a round of golf in Geneva-on-the-Lake, Ohio. 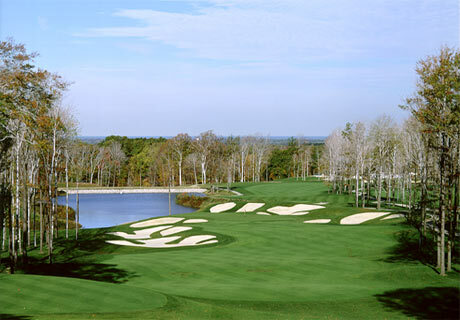 This unique course offers a sculpted wooded landscape that will take players through 6,569 yards. From the first tee, to the last green, the Geneva-on-the-Lake Golf Course allows visitors to enjoy a game of golf and improve their skills on this par 72 course. With proud professionals and employees at work, the Geneva-on-the-Lake Golf Course will provide visitors with the best possible golf experience. With the courses matchless design, it is truly a one of a kind experience for all skill levels, ranging from a golf newcomer to a seasoned veteran. The course is uniquely positioned at the center of the Geneva-on-the-Lake strip and is in walking distance to lodging, local restaurants, bars and attractions. Play at the Geneva-on-the-Lake Golf Course to experience golf at its finest, just be prepared to reach for every club in your bag.